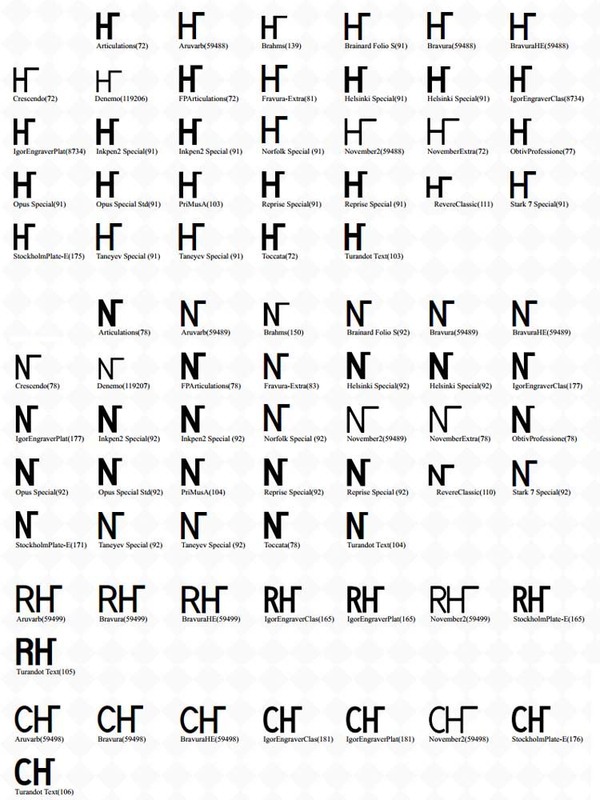 There are indeed no symbols for H (U+1D1A6) or N in standard Finale fonts. But some fonts do have it, such as Sonora, Stockholm, Fravura Extra, Opus Extra, FreeSerif, Thesis, Bravura. You can also create it in Finale shape designer, by typing N and add a line to get it correctly. I use the Haupstimme sign from Fravura-Extra. I used to use Opus Special for this, but it doesn't seem to display correctly for me in Finale 25, although it was fine in older versions of Finale. Last edited by David Ward on 08 Jan 2018, 17:27, edited 1 time in total.